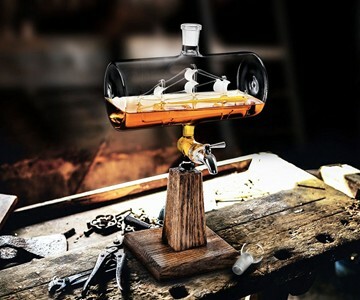 I don't care how they got this ship in the bottle as long as I know how to get the booze it's sailing through out. 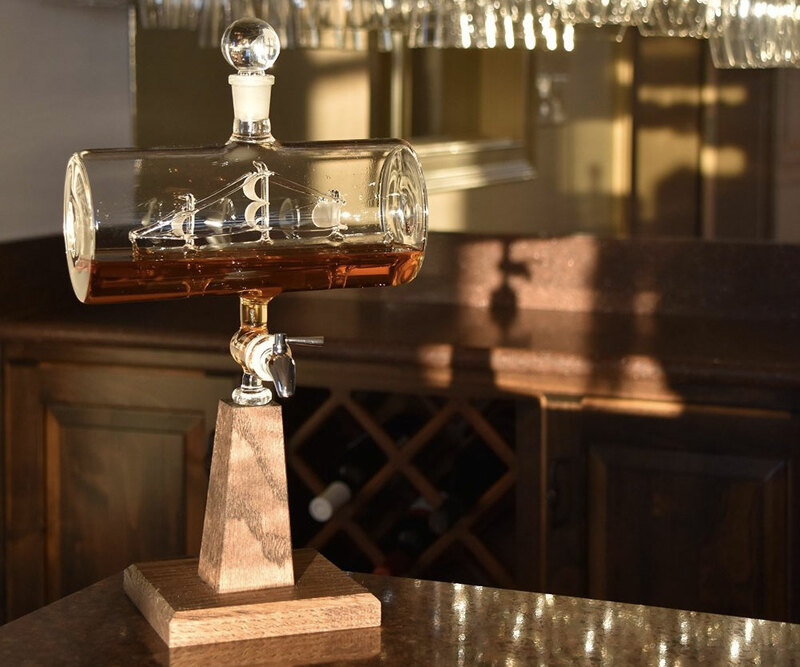 A wood base handcrafted in Kentucky serves as a classy pedestal to the mounted glass whiskey decanter and dispenser, set off even further by a hand-etched ship built into the barrel's center. The decanter is mouth-blown out of lead-free, durable borosilicate glass that, combined with the vessel's ground glass stopped, can hold and preserve liquor without risk of evaporation for years. 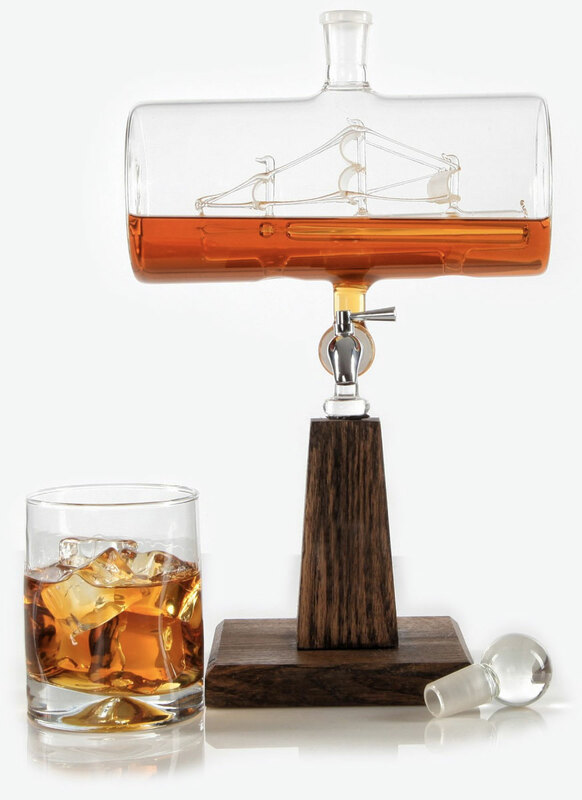 It holds 1150mL of whiskey, or any other of your favorite spirits, including bourbon, vodka, rum, or wine. Or, according to seller Prestige Decanters, mouthwash. Well. It may not be quite the same kind of high, but I guess I can't argue that swishing around a swig of minty freshness doesn't make me feel all smooth and tingly inside too.